FROM the Mark Levinson sound system and orange brake calipers to the thundering 351kW V8 engine and rear wheel drive setup this car is an absolute weapon, and despite its expensive price tag, this could be one of the best sports saloons on the road. 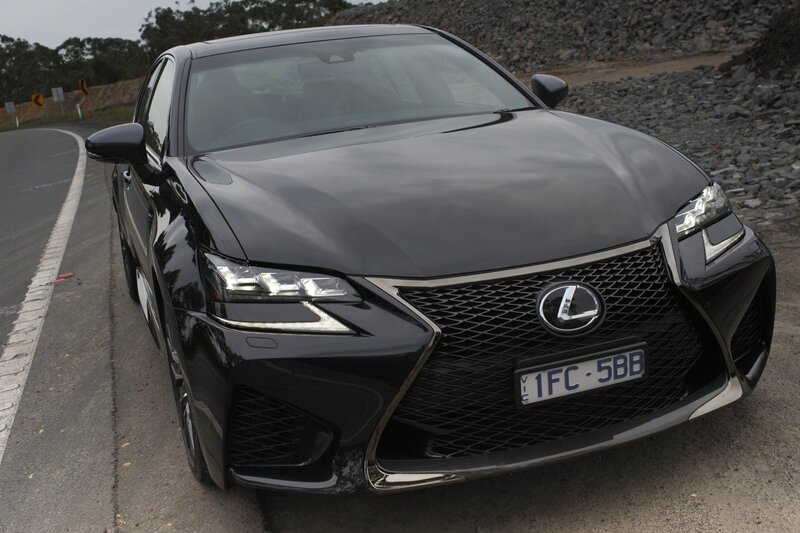 High praise for a Japanese performance car up against European rivals like the Audi S6 and the BMW 550 M Sport – maybe – but, the 2016 Lexus GS F delivers in spades on a number of fronts, not the least of which is the wicked sound its 5.0L V8 engine makes at full roar. 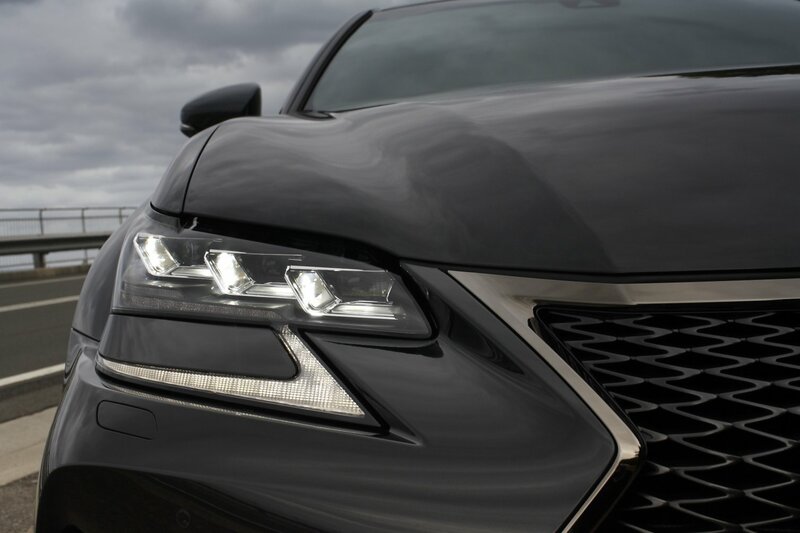 This car is not for the faint-hearted. Zero to 100 in 4.6 seconds. 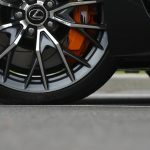 It’s wicked fun to drive but you also better bring your wits with you, as this is a street-legal race car (not to be mistaken with the F Sport offerings from Lexus – F cars are high performance beasts that live and breath race technology). The V8 power plant, which also pushes out a whopping 530Nm of torque, is coupled with an 8-speed Sports Direct Shift transmission (which also has a manual mode) that is nothing short of seamless, and is married to a torque vectoring differential (with selectable Standard, Slalom and Track modes) and controlled by four driving settings (Eco, Normal, Sport and Sport+). Inside, the luxurious but sporty interior is outstanding, with Alcantara leather accents, an 8-inch digital instrumentation display, colour heads-up display (HUD) and a 12.3 inch SatNav system, which happens to be the one thing we didn’t like. The controls here are on the centre-console and are in effect, manual (think joystick and enter button). 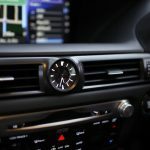 They are clunky and difficult to use, and can be extremely distracting to utilise while driving. There’s no touch screen. Operationally the system is exceptional in every way, except the human interface. 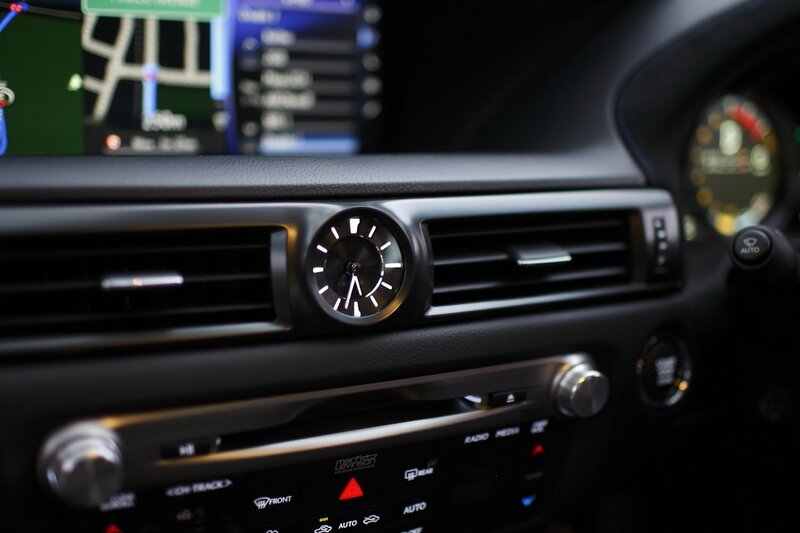 On the tech front, there’s the 835w sound system with 17 speakers, with a complete set of audio controls in the rear centre-console, and moisturising air conditioning. Now while that sounds odd, it basically means that the system gathers moisture and injects it into the air flow to ensure you stay cool, even when the Aussie summer is melting the outside world. 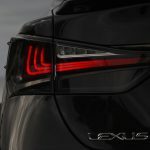 Outside, there’s cool aggressive design features everywhere, including the unique front bumper and mesh grille with carbon fibre (CFRP) inserts, forged 19-inch smoke finish alloy wheels, triple stack LED headlights (with the Lexus L hidden in the tail lights) with adaptive high-beam, chrome quad exhausts, a carbon fibre rear spoiler, and a moon roof. 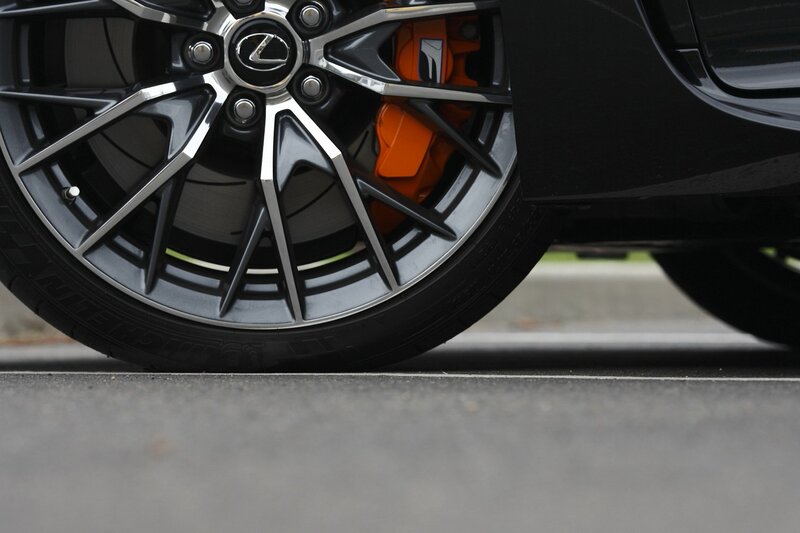 On the down side, the suspension, especially in the rear, is ordinary for road use. In reality it’s race-bred suspension is just that, race-bred, so if you’re a passenger in the back seat, you’re in for an uncomfortable ride. You’d best have a petrol card with an unlimited balance too, as this beast is thirsty, really thirsty. Drinking its way through an average 11.3L/100km (even thirstier than that if you drive it hard) from the decidely small 66 litre fuel tank. 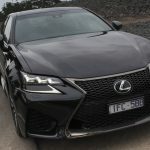 It hits the road at a little over $159,000 drive-away and while that’s expensive, particularly compared to its primary rivals (it’s more than $60,000 dearer than an HSV GTS for example), the GS F has buckets of performance (we gave it 4.5/5 for driving experience and exterior styling), plenty of luxury and a lot to offer. It’s also incredibly safe. 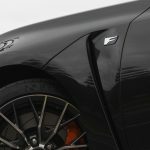 Aside from Brembo performance brakes, you’ll also find ten SRS airbags, lane departure warning (with steering assist in case you really go a wandering), a very adaptive pre-collision safety system (with brake assist that will actually increase braking if it needs to) and radar active cruise control. There’s also blind spot monitoring, rear cross traffic alerts and a high definition reversing camera that also features front and rear clearance sensors (no crashing into gutters or unseen objects), and reversing sonar. 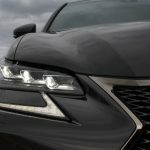 The 2016 Lexus GS F comes eight cool colours including White Nova, Mercury Grey, Sonic Silver, Titanium, Graphite Black (as tested), Vermillion, Lava Mica (which in the US is called Molten Pearl – think McLaren orange, you’ll know the colour we mean), and Cobalt Mica (one of the coolest blue paint schemes around). 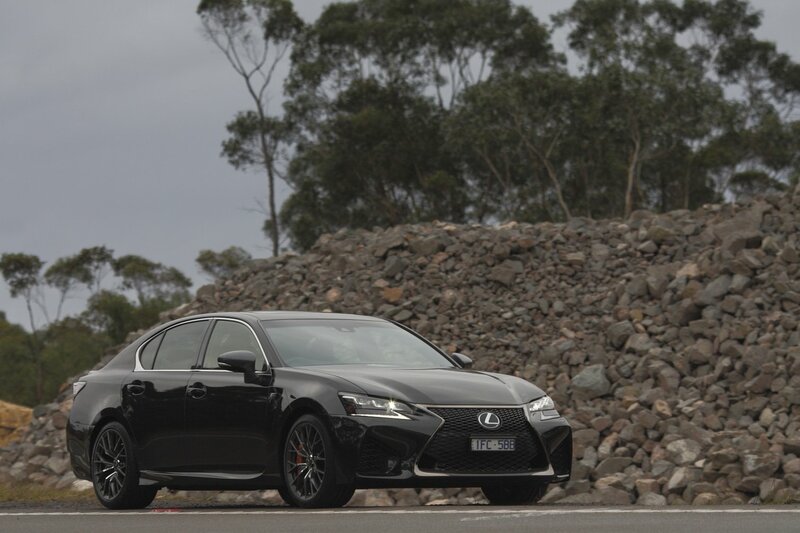 If you’re in the market for a high performance car, that’s very different from most things out there, is feature packed, and sounds fantastic (and doesn’t require you to buy a gazillion extras to make it top notch), then its hard, very hard, to go past the 2016 Lexus GS F.
Our test vehicle was provided by Lexus Australia. 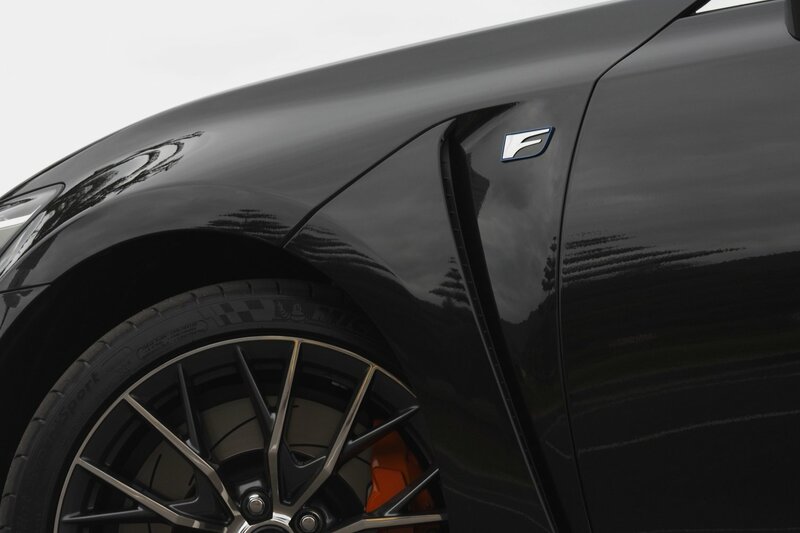 To find out more about the 2016 Lexus GS F, contact your local Lexus dealer. 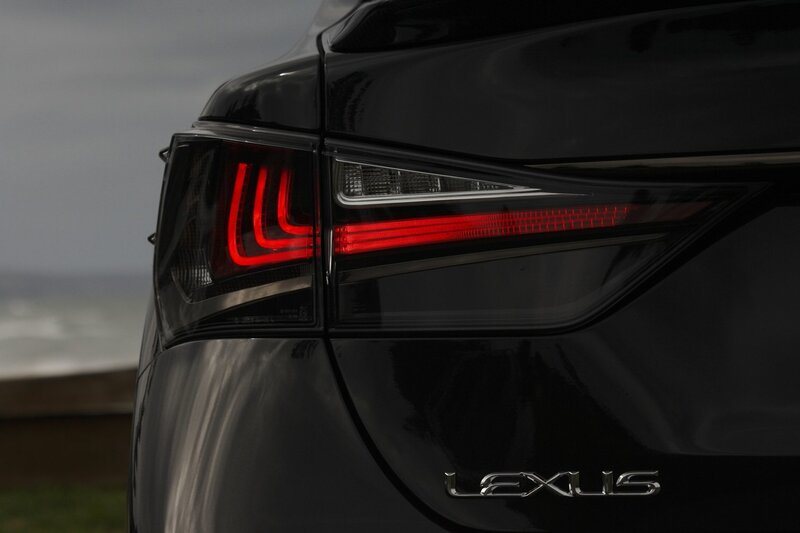 2016 Lexus GS F photographed by Neoklis Bloukos, Photo Automobili. View the complete gallery on 500px. Pros – awesome V8 engine; fantastic smooth gearbox; packed with standard features. Cons – suspension not road friendly; very thirsty; dearer than genuine rivals. A new hand-drawn cutaway sketch of the NSX super car was released today by legendary automotive illustrator Shin Yoshikawa.